CRYSTAL LAKE, Ill. (WLS) -- A man who charged a suburban Crystal Lake police officer and then was shot by now faces attempted murder charges, officials said. 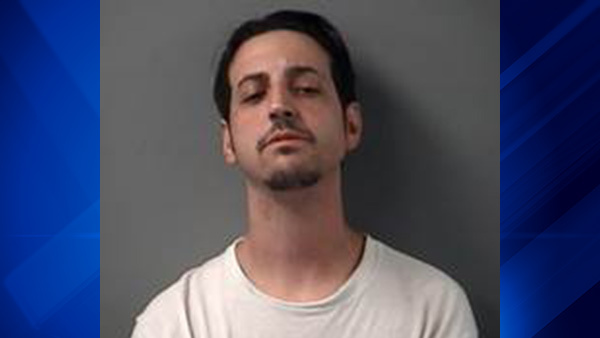 The McHenry County State's Attorney's Office charged Joseph A. Laudicina, 29, on Monday with two felonies -- attempted murder and residential burglary. Last week, he was charged with home invasion, vehicular invasion and aggravated domestic battery. On June 22, police said they responded to a call that a man was beating a woman in the 800-block of Boxwood Drive in Crystal Lake. When the officers entered the house, the suspect, armed with a knife, charged at the officer in a "threatening manner," police said. The officer then shot Laudicina, who was then taken to Woodstock (Centegra) Hospital. Laudicina, whose last address was in suburban Addison, is being held on the additional charges in lieu of $125,000.